Ericson Mint "A Cleaved Head"
There were also a couple of unserialized prototypes. Don't forget to check out http://ericsonmint.com/ Home of the Viking Penguin! Prototypes going to be in the KSA? Use coupon code FLASHSALE at checkout. Also, the 5 ounce bears mintage will be reduced to only 35 bars ( I think - I will need to confirm the exact number). The mold broke and I'm not having yet another cut. Some still left on the site. Only 1 polar bear left on the site. And..when talking polar...that's all folks! Any plans for a new bar coming out soon? Maybe a 4oz monster penguin? abliss2006 wrote: Any plans for a new bar coming out soon? Maybe a 4oz monster penguin? 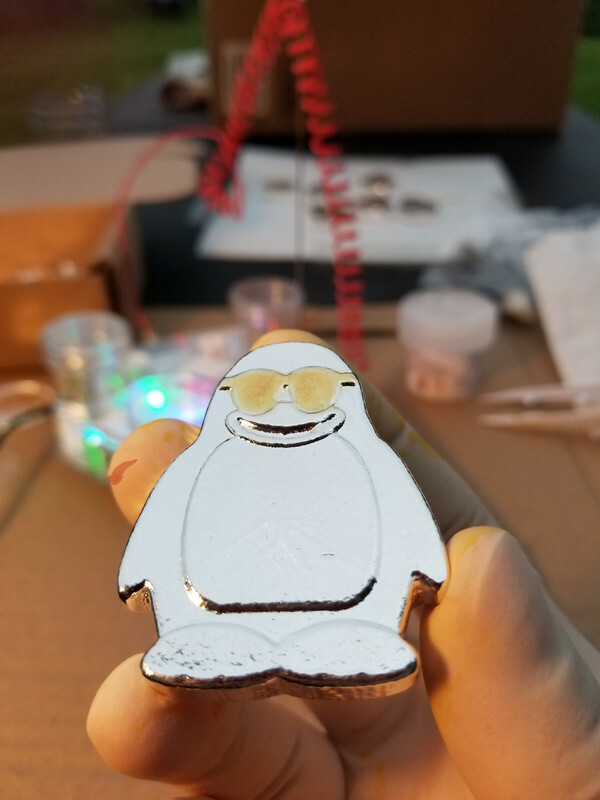 I do have a 4 ounce prototype penguin wearing sunglasses! Learn about our new silver round series here! Will this also be an upcoming release? It was something done before deciding on the slimmer 2 ozt version with gilded glasses for the final piece. I didn't have plans to make it regular production, but that may change. I think we'll go for the 4 ounce version next summer folks! New release a few months away? abliss2006 wrote: New release a few months away? It should be This next design is going to be exciting! Ericson Mint wrote: I think we'll go for the 4 ounce version next summer folks! Is a 4 oz penguin still on the schedule for this summer? It sure is! Should be just a couple weeks more for them to be poured, gilded, and ready to ship. I am beating up the next design in the Viking Proverbs series, it just wasn't coming out right and I want it to be perfect before cutting the die.